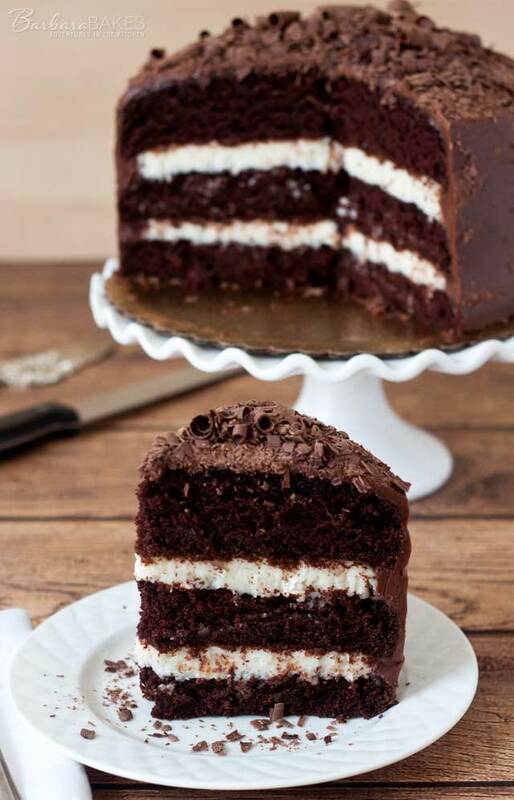 A luscious triple layer chocolate cake with a coconut cream cheese filling covered with rich chocolate ganache and crowned with chocolate curls. My daughter and I made this fabulous cake for my grandson’s first birthday. 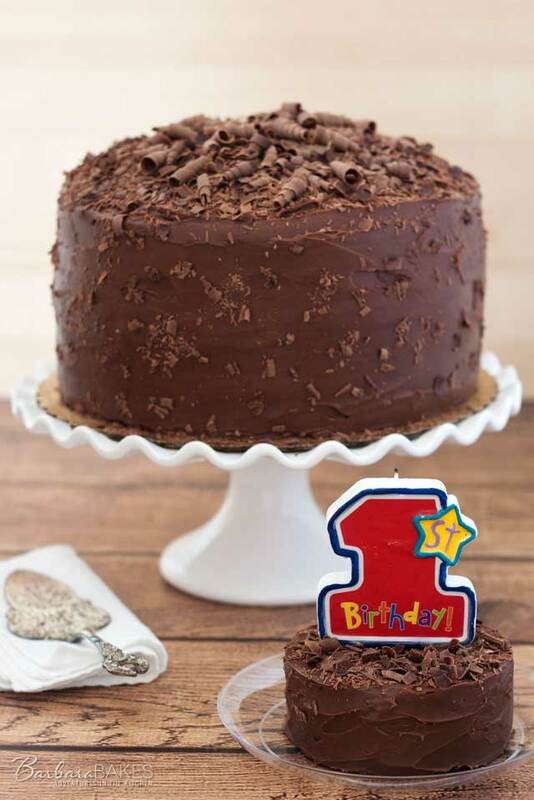 It’s a pretty fancy cake for a one year old, but for my other grandson’s first birthday we made some gorgeous Chocolate Cheesecake Cakes, so my daughter didn’t want her second son to look back and say why didn’t I get a fancy cake. She invited over 40 friends and family to the party, so we made two 3 layer cakes with coconut cream cheese filling. I baked the cake layers several days before the party and put them in the freezer. The layers are easier to work with if they’re frozen. The day before the party, my daughter came over and we made the coconut cream cheese filling and assembled the cakes. 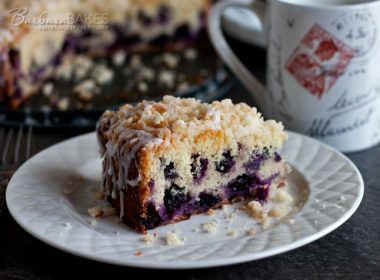 This cake isn’t hard to make, but it is time consuming, so if possible, I recommend making it over two days. Three round cake pans won’t fit in my oven on the same rack. So I had to bake the layers in batches. If you have three cake pans, check and see if they’ll all fit in your oven on the same rack. I don’t like to cook on different racks because cakes bake so differently depending on where they are in the oven, but if you have good luck doing that, you could make all three layers at the same time. We actually made three cakes, one with ganache, one with a whipped ganache pictured in the back and a smash cake for the birthday boy. I decorated the sides of the cakes by throwing some of the crushed chocolate curls on the sides of the cake while the ganache was still wet. If you let the ganache set before you add the chocolate, it won’t stick to the cake. The cake was a hit at the party. 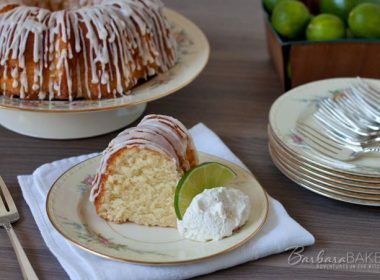 In fact, my husband loved the filling so much he wants me to make a cake filled and iced with the coconut cream cheese frosting. Since my husband’s birthday is this month, I’ll be making that version soon. In a large measuring cup, whisk together water, oil, vinegar, and vanilla. Add to dry ingredients and whisk just until blended. Divide batter between pans. Bake 25 -35 minutes until a toothpick inserted in the center comes out clean. Cool cakes in the pans on a rack for 15 minutes, then invert them onto a wire rack. Leave cakes upside down (this flattens domed cakes) to cool completely. Prepare single layer as directed above using one 9x2 inch round cake pan. Place chocolate in a glass bowl. Heat heavy cream over medium high heat just until it comes to a boil. 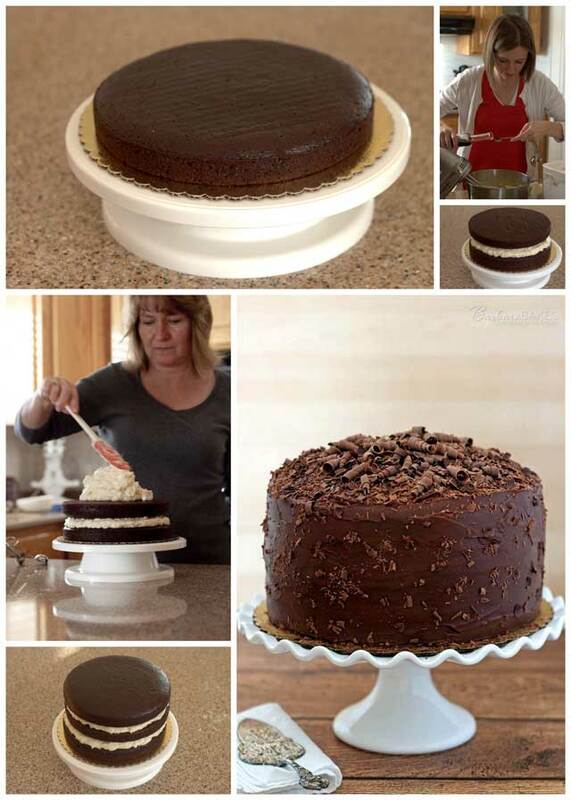 When the cake layers are cool and ganache has thickened, evenly spread half of the filling on bottom layer, carefully stack the second layer on top of filling. Spread the remaining half of the filling on the second cake layer, then stack the third layer on top of the filling. Frost the top and sides of the cake with the chocolate ganache. Decorate with chocolate curls, optional Refrigerate until ready to serve. This is the most disgusting cake I have ever made! It was really disappointing. I followed all the directions and the cake was dry and the ganache turned to concrete. The only decent thing was the coconut filling, and that is being nice. I will not be making it again, nor will I try any of your other recipes. I’m sure your food is great, just not for me. Hi Erin – Sorry you had troubles with your cake. Sounds like you baked your cake too long and your let your ganache set up too long. What type of chocolate did you use in your ganache. Did you make changes to the cake recipe. I’ve made this cake numerous times, as have others, and it’s great. Made this recipe for the first time yesterday. Since I like to take desserts in to work and also give some to family, I prefer to make cupcakes. And rather than the ganache, I used a Swiss buttercream. Best cake recipe I have made. Used the ingredients for all 3 layers and got 38 cupcakes. Baked them for about 15-17 at 350. Will definitely make these again. Thank you, look forward to perusing your site for other delicious items! Thanks for sharing the info on the cupcakes Maggie! Glad they were a hit. Last time i tried this chocolate cake recipe it came out bit hard and dry.I am going to try the same recipe again this time i ll keep a close look at the oven. How much should be the baking time for the single layer. Another silly question,should i add milk to this recipe? Will it help in making the cake moist? Hi Navya – different ovens and different pans will require different cook times. I would definitely reduce the cook time significantly if the cake was hard and dry. I would not add milk to this recipe. It came out perfect this time.The bake time is 24 minutes for my oven. That’s awesome – thanks for the follow up! 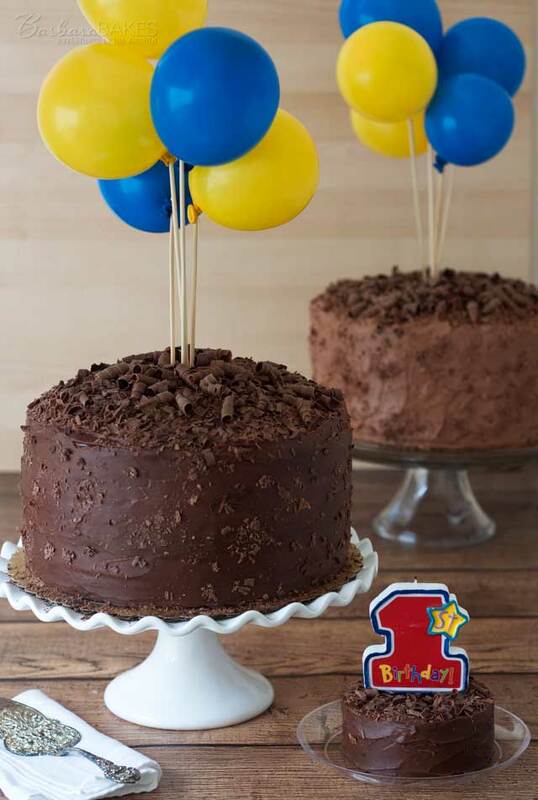 Hi, sorry if this is a silly question….im looking at making a couple of these for my sons 18th. for the triple layer cake did you just triple the single layer cake recipe? Hi Jacquie – I made one double layer and one single layer. So if you were making two triple layer cakes, you could make 3 of the double layers. I tried this recipe and loved it. I also use the chocolate cake recipe as my go-to whenever I want chocolate cake or cupcakes. 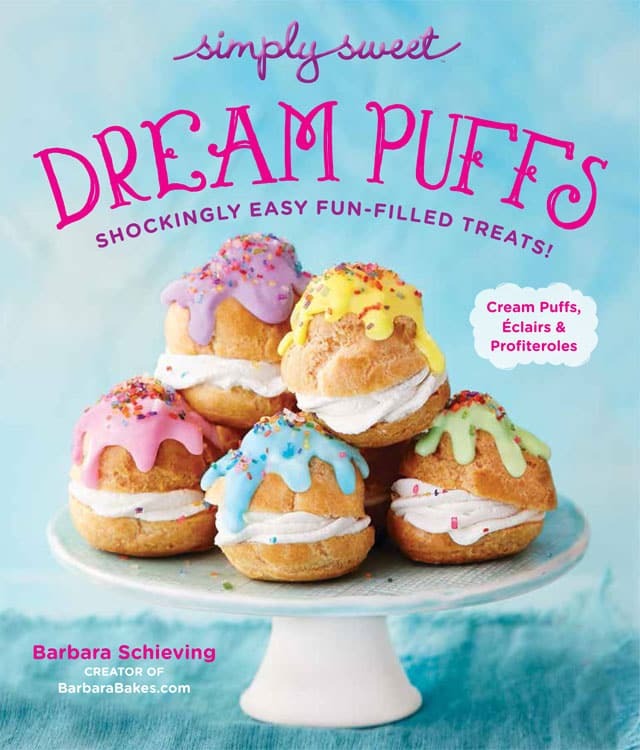 Did you make the coconut cream cheese frosted version for your husband? I’m a bit burnt out on ganache, so I’m curious how much more frosting I would need to make for just one three-layer cake? 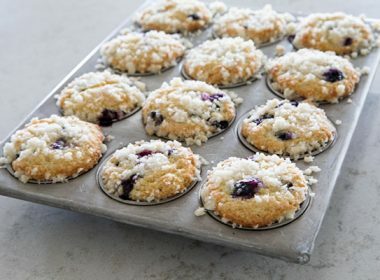 Hi Jill – I think if you make 1 and 1/2 times the filling, you should have enough to fill it and frost. Here’s a small version I made https://www.barbarabakes.com/chocolate-cake-two-coconut-almond-cream-cheese-frosting/ Enjoy! Do you have any tips for doing a 3 tier wedding cake for a newbie ? 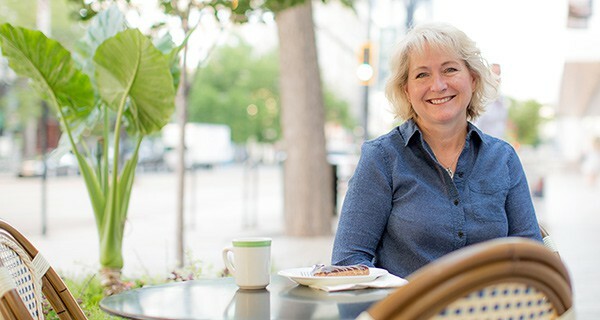 Hi Fran – here’s my layer cake tips https://www.barbarabakes.com/baking-tips-for-layer-cakes/. I don’t have any experience with tiered wedding cakes though. Good luck! Hi, I’m Rini, I’m from Jakarta – Indonesia. Hi Rini – the cake does not contain eggs. 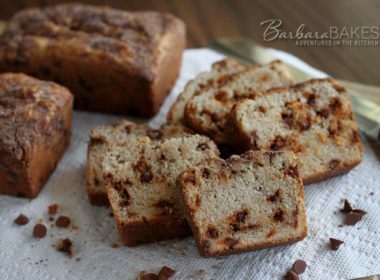 It’s similar to this old fashioned cake https://www.barbarabakes.com/old-fashioned-chocolate-cake-with-maraschino-cherry-filling/ and there’s an explanation about not using eggs in that post. Enjoy! Hi Rebecca – yes, standard US measurements. Here’s a chart that you can use to convert this and other recipes http://www.kingarthurflour.com/learn/ingredient-weight-chart.html Enjoy! Hi Barbara! I was wondering where did you get that red 1st birthday candle? My baby will be turning 1 and that candle is the best that I’ve seen so far. Thank you. Thanks Peggy – my daughter bought it at Zurchers. Happy birthday to your little one. Such an adorable age. 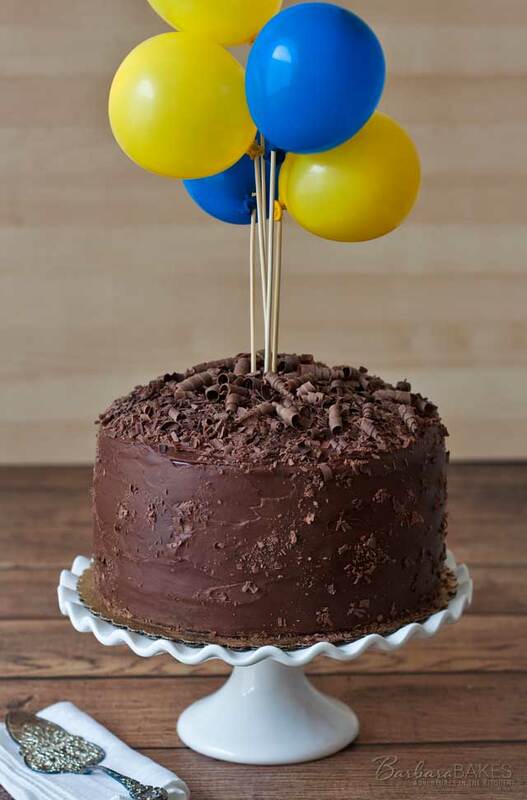 I’m going to make this cake for my hostkids birthday. I’m wondering whether the adjustment for the high altitude is also for the Single Layer or only for the Double Layer? And does it matter where the single layer goes (bottom, middle, top)? Great question Thea – yes, the high altitude adjustment was just for the double layer. The single layer would be half – so for the single layer decrease the sugar by 1 tablespoon, used 3/4 teaspoon baking soda and 1 1/8 cup hot water. It doesn’t matter where the single layer goes. Enjoy! Thanks a lot, Barbara! 🙂 Do you actually put the filling and ganache on, while the cake layers are still frozen? Cake thaws really quickly, so generally the cake is mostly thawed by the time I get around to putting on the ganache. But having it frozen while you’re stacking the layers and adding the filling does make it easier to work with. Hi! 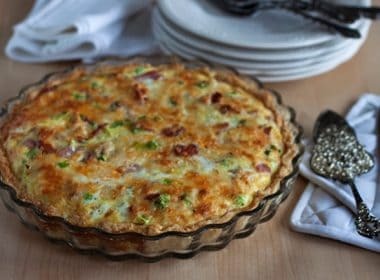 Is it correct that this recipe does not use any eggs? Thanks. Hi Janet – yes, it’s an old fashioned egg free cake. The acid in the vinegar when combined with the baking soda creates the leavening. the recipe says to divide the batter into 2 9in cake pans but at the end it states this is a 3 layer cake? Hi Brittany – The recipe is 3 layers, but you bake two layers first and then a single layer. I give all the details in the post. I am getting so hungry right now! This cake is beyond amazing!! My birthday is in February, and this is definitely going to make my birthday cake shortlist. Chocolate and coconut always sounds good to me!